Released in paperback on March 8th 2018, this may not be a book which had automatically found its way onto your Amazon wishlist, but we would heartily recommend it does. Firstly, forget all your “Octopi” thoughts – the plural is octopuses (or, if you really want to debate it, “octopods”). Secondly, why not revel in the wonderful world of the octopus? One of the most intelligent and head-spinning creatures on Earth, they serve as an excellent final word on the pub argument as to whether alien life exists – how could it ever be more bizarre than an octopus? 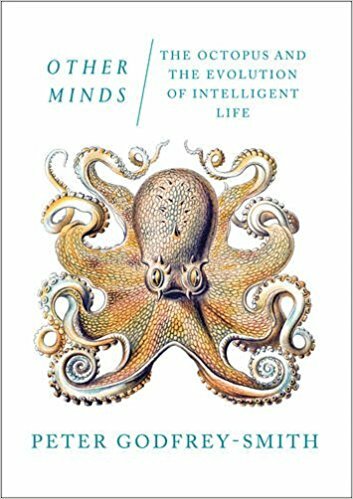 Written by Peter Godfrey-Smith, an historian and philosopher at the University of Sydney, he skilfully combines science, philosophy and his experiences of swimming among these tentacled beasts to illuminate the origin and nature of consciousness. Not just a glimpse at their mysterious world but also an investigation into how we perceive ourselves and the world around us.